The Oregon Trail A New American Journey by Rinker Buck reminds us of our history. 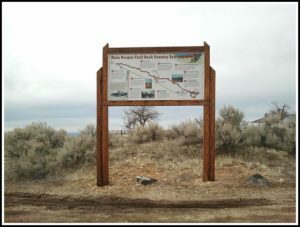 Written by Rinker Buck, The Oregon Trail is a work of participatory history that shows an intriguing side of traveling through the 2,000 mile length of Oregon Trail following the traditional ways. The idea of traveling through the long trail using an old-fashioned covered wagon with mules and exploring the rich diversity of the region has crafted vivaciously shedding some great insights on the rich history of the trail, and also putting some great emphasis on the history of the state and how people migrated to this part of the world, and it’s significance in the country’s history. The Oregon Trail is spread across 2,000 miles, crisscrossing through six states starting from Missouri and ending at Pacific Ocean. 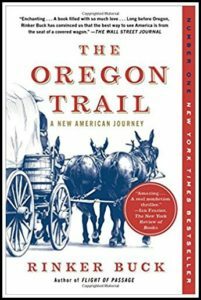 The author also highlights how the Oregon Trail is the route that made America, a fact about which not many of us are aware of. The book sheds light on how the Oregon Trail witnessed the largest land immigration of all time in the country. Long before the Civil War, more than 40,000 people used this trail to go out West and enter this region. And it is still regarded as one of the largest land immigrations of all times by Historians. You will also get to know how the trail doubled the size of the country by laying groundwork for railroads and uniting the coasts. Not just connecting the country, but it has been an inspiration to many as well. The author attributes that the plucky determination in the face extreme adversity, clash of populations for jobs and spaces and the busting of financial bubbles; all this has been solidified as part of our character thanks to the trail years which gave rise to all these issues. However, people have long forgotten about it now. The author is not new to grand adventures. One of his previously written books, Flight of Passage was described by The New Yorker as a “gem of book”. And with The Oregon Trail the author has managed to live up to expectations. Bringing back to life one of the most, if not the most, travelled roads in modern history, the author has penned down a majestic journey amalgamated with a personal saga, which reminisces bestsellers written by Bill Bryson and Cheryl Strayed. The author in his journey through the 2000 mile trail was accompanied by only three mules, his brother Nick and a terrier named Olive Oyl. 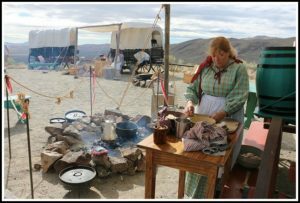 Through the journey, Buck manages to escape from thunderstorms, scouts through more than 500 miles of trail that is almost vanished, successfully crosses Rock Mountains, and reinvents that art of wagon travel. The book gives readers a geographical and emotional adventure through the experience of the author, introducing them to natives, trailblazers, evangelists and day dreamers who have been the pioneers to made it through to the West. It comes as a refreshing read with strong narrative power, an insight about the author’s mistakes, and his obsession with the history of the county. The Oregon Trail, overall, comes across as more than just a worthy read! 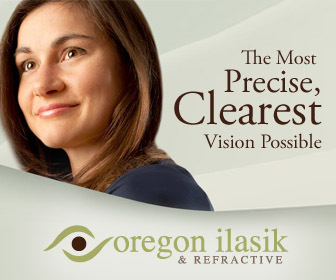 Ready For The future? The Augmented Reality Headset Is Already Here!